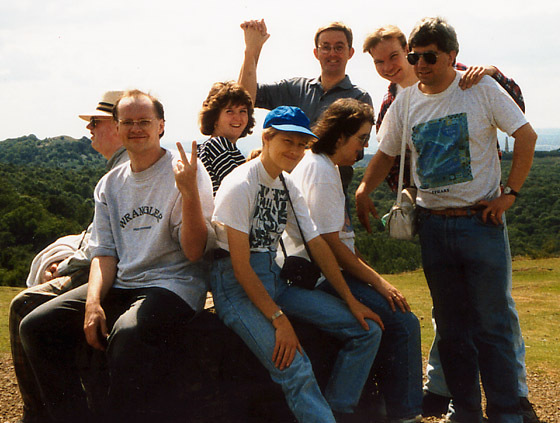 So, one weekend in 1993 we found ourselves on top of the Malvern Hills. We had been brought there by Polska Paul, who was obviously of Polish descent, but came from Malvern and so took us up onto the hills he was familiar with. 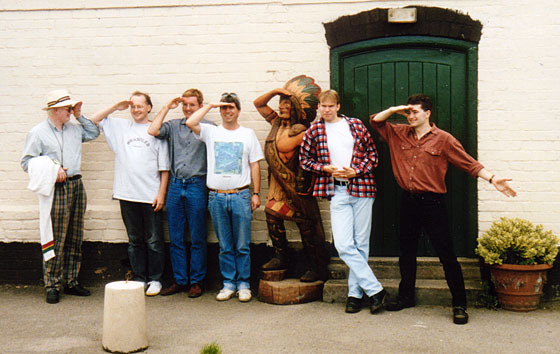 We were actually staying in Newent, Gloucestershire for the weekend, at Nicholson House which was the headquarters of the Federation of 18 Plus Groups, and also had accommodation for 16 people. There will be more about Nick House in future posts. Anyway, whilst we were there this particular weekend we went for a hike up the Malvern Hills, from a quarry at one side, up onto the top of one hill, along the path to the top of the next where we had a rest. From here we walked down towards the town of Malvern itself, because Andy Animal said he knew where there was Ye Olde Tea Shoppe… he lies ! I was never quite sure why he thought he knew where a tea shop was on the outskirts of Malvern which is what, 180 miles away from his house, but he was convinced that when we got down to the road and walked just around the corner we would find a tea shop. So we walked for about another mile, and did we find a Tea Shop ? So still thirsty and in search of refreshment we walked onwards still under the direction of Andy Animal who still swore there was a Tea Shoppe just around the next corner. 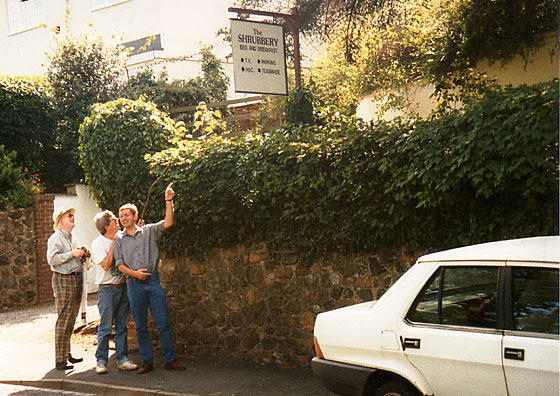 Why we believed him I’ll never know because we rarely believe anything else he says without corroborative evidence… maybe we were just swayed by the idea that as this was the tourist town of Malvern there would be plenty of tea shops. We never found the fabled Tea Shoppe, and I know we somehow got back to Nicholson House… I seem to remember that we headed back to the hills and while the others hung around eating ice-cream from an ice cream van in a car park, Polska, Dave and I trekked back to our cars and drove round to pick the others up. Who were Polska Paul and Dave? I’ve no recollection of them whatsoever.